Thread: Hello and planned Joggler install. Hello all. I have been lurking on here for some time and finally joined a few says ago. I thought I had better get around to posting something, so here we go. I'm a somewhat geeky 31 year old from Surrey, interested in messing around with Linux and hardware hacking. I also have a strange fascination with all things 1980s. I don't currently have a car PC, but have a few ideas. My main priority is music. GPS may follow in time. OBD is irrelevant to me as my car is too old to have this. The car: 1993 Saab 900 "Ruby", currently fitted with a late '90s Sony head unit with internal amplifier. As I consider this to be something of a classic (others will disagree!) and due to my lack of fabrication skills, I don't want to go chopping holes in the dash. 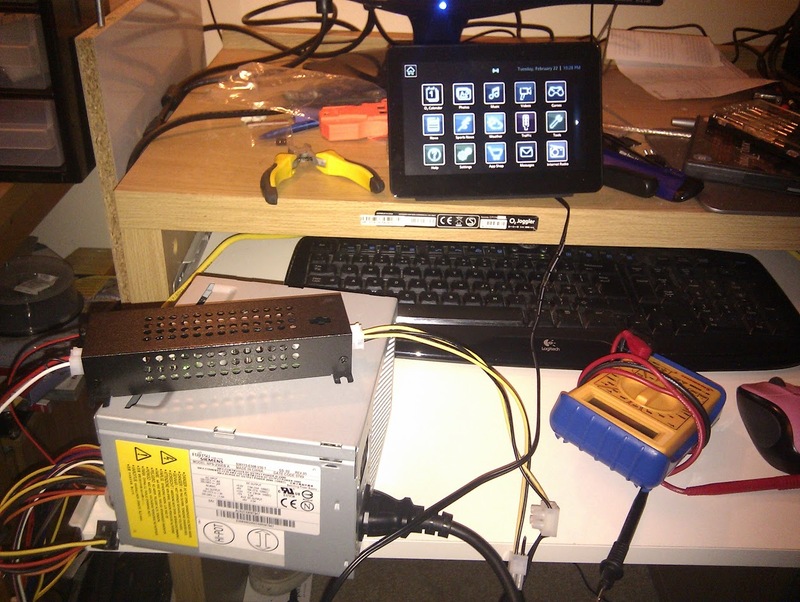 The (proposed) car PC: O2 Joggler with heat-sink mod and a fabricated bracket for attachment to the existing 1 DIN slot. I intend it to be removable so as not to attract thieves. Storage will be a 2.5 inch hard disk in a USB enclosure, probably mounted in the glove box. 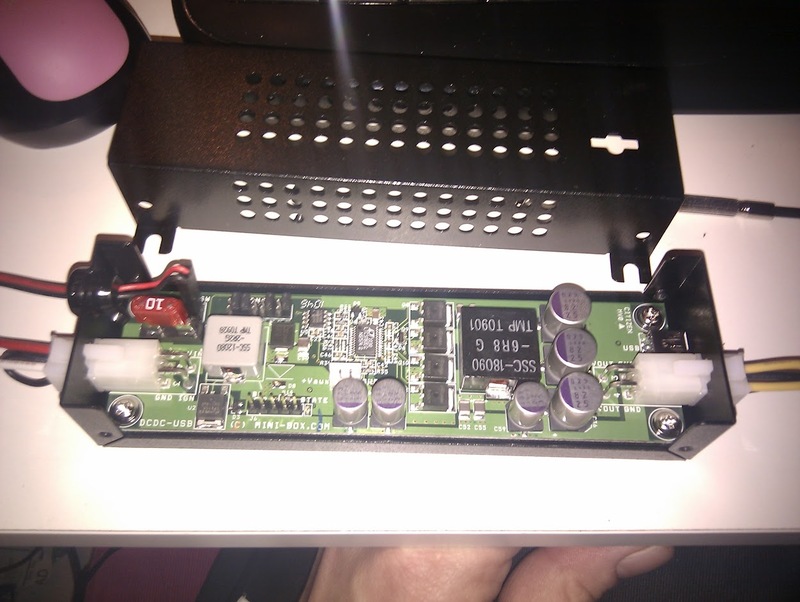 I haven't yet worked out what to do about an amplifier, but something with a similar output to the existing head unit that would fit in the 1 DIN space (allowing room for a USB hub and voltage regulator for the Joggler) would be ideal. Any ideas? For software, I have been playing with Squeezeplay on Linux Mint 10 and am pretty impressed. I have tried both Meego IVI and Linux ICE in the past, but for simple playback of audio files, Squeezeplay does the job very well. If I do decide to add GPS, my main aim would be to produce tracks of my journey - something that I currently do with my Android 'phone. Navigation would be of secondary concern and would probably use Navit, but I haven't really played with this yet. That's it for now. Any thought? and post here how it goes.................please! This brings Squeezeplay into focus. Combining this with xbindkeys means that keyboard short cuts can be created to switch between applications. I intend to acquire a cheap USB numeric keypad to butcher and create an interface for the necessary buttons. I have also been playing with Navit and have a semi-usable navit.xml config file. It works at home, but I need to take it outside and test it properly. Joggler, 320GB 2.5" USB hard disk, powered USB hub, USB GPS dongle, radio wiring loom. USB keypad (to hack), amplifier and probably various other bits that I can't remember. Bidding on another one at the moment. I am so impressed with Squeezeplay that I want one at home as a cheap alternative to a Squeezebox Touch. must admit i havnt tested Squeezeplay, how does it compare to XBMC? could a joggler be used to play music with a nice interface from a network drive/area? yup, you can install squeezeplay onto the original OS. I can't really compare Squeezeplay to XMBC as I have very little xsperience with the latter. All I can say is that Squeezeplay is a rather nice touch screen friendly music player that covers all the usual bases: Album art, playlists, etc. It is basically the interface used by the Squeezebox Touch - which itself runs an embedded Linux distro. Haven't had much time to do anything further, but I am now off work for five days, so hopefully I'll make some progress. Any recommendations on a small amplifier to replace the head unit? Arduino 2 is a “keyboard controller” - initially with three keys to switch to Navit or Squeezeplay and to restart Squeezeplay (it seems flaky after 5 or so hours). The “keys” are digital inputs 0 to 2. Input D3 comes from the first Arduino and will issue the shut-down command. 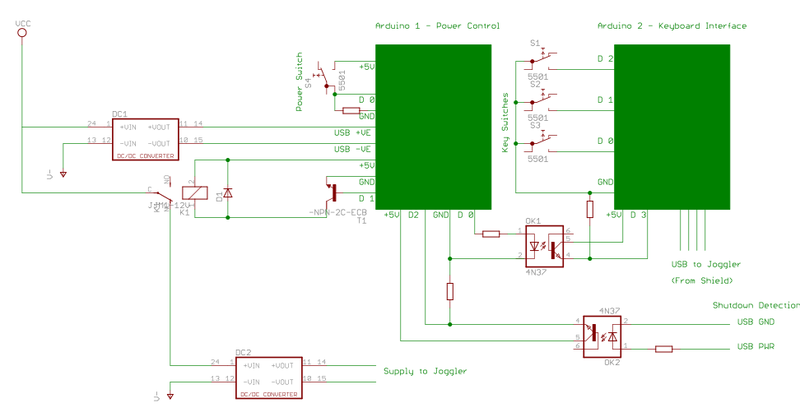 Once the Joggler has shut-down, Arduino 1 will detect the lack of 5v from it's USB port (I do need to test that this powers off on shut-down and switch off D1, de-energising the relay and thus removing power from the Joggler's DC-DC converter. I have a few parts on order, so will have to wait for these before proceeding – and I have to write the code. Hopefully I'll have it bench tested by the weekend. any thing Arduino related is good! why do you need 2? lol!! look at the design and you will see!! Sorry for the delay in updates, but the roster clerk at work seems intent on trying to kill me! 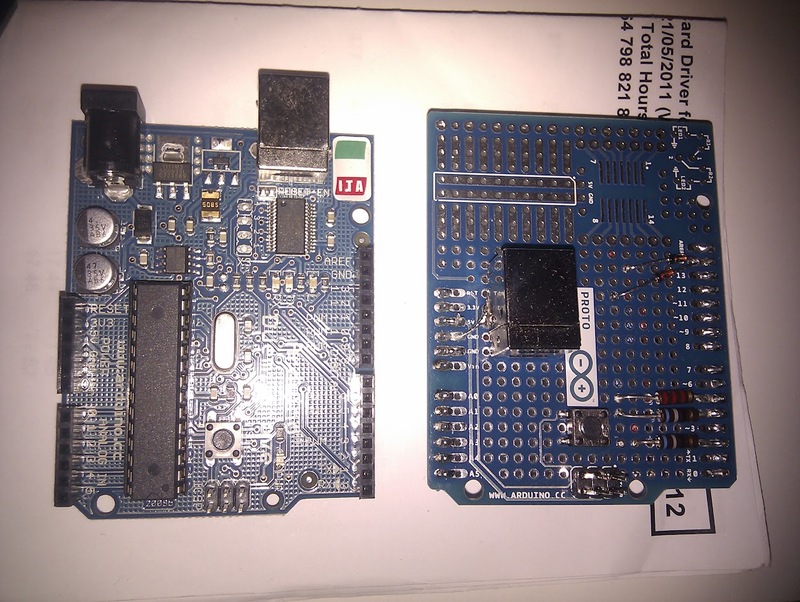 Two Arduinos are required as they are separately powered: The one handling keyboard functions is powered by the USB hub, which itself (along with the Joggler) is powered by the main DC-DC converter. This is only on when the system is running, something that is controlled by the other Arduino – which is always on and separately powered. Hope this makes sense. Anyway, I am having second thoughts on using the two Arduinos. I have built and tested a keyboard interface on a proto shield, but was having problems trying to power the Joggler from a DC-DC converter. It would hang just after the o2 splash screen, with random graphical corruption. Figuring that the cheap DC-DC converter was not supplying a nice clean 5V. I ended up buying a dedicated in car PSU – which features a shut down controller of sorts, so no need for one of the Arduinos. Alas even with the new PSU, I had hanging and graphical corruption – which I eventually found that this was due to a dry joint in the power jack and not the two PSUs. So I have a choice. I could go with the original plan, or I could use the new PSU and just one Arduino for the keyboard. I'll probably go with the latter as it cuts down on complexity and probably (haven't tested it) gives significantly lower current draw when shut down.